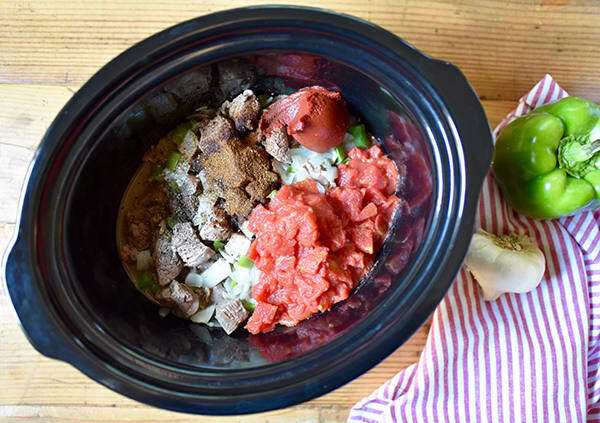 It’s simple and easy and since you cook it in a slow cooker, the meat becomes fall-apart tender, and develops a deep and satisfying flavor. After a couple minutes of chopping, and a few minutes of browning and sautéing, you can pop all of the ingredients into a slow cooker and forget about it for several hours. If your slow cooker has a browning setting, you can brown the meat and sauté the vegetables in the same pot, making clean up even easier. Definitely consider doubling this recipe if your slow cooker has a large enough capacity. Freeze unused portions for a future weeknight win! 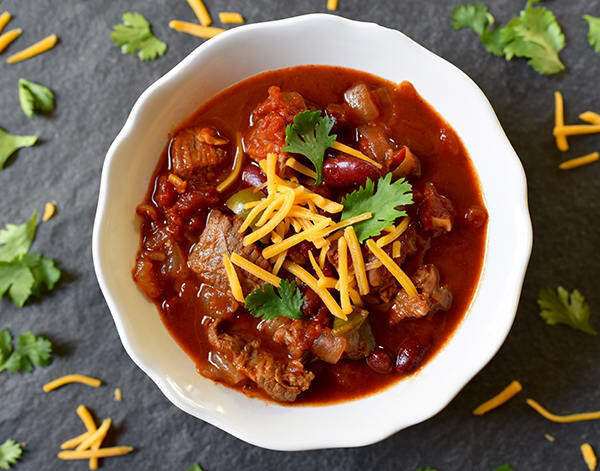 This simple slow-cooker beef chili recipe is everything you are hoping for. The meat becomes fall-apart tender, and develops deep and satisfying flavor. Add beef; cook, stirring frequently, for 4 to 5 minutes, or until browned. Add 1 cup water, tomatoes, tomato paste, chili powder, salt, pepper, and beans. Follow manufacturer’s guidelines for locking lid and preparing to cook. Set to pressure cook on high for 10 minutes. Add a side salad or more veggies to make a great lunch option. For dinner, omit the beans and add a side salad or more veggies.